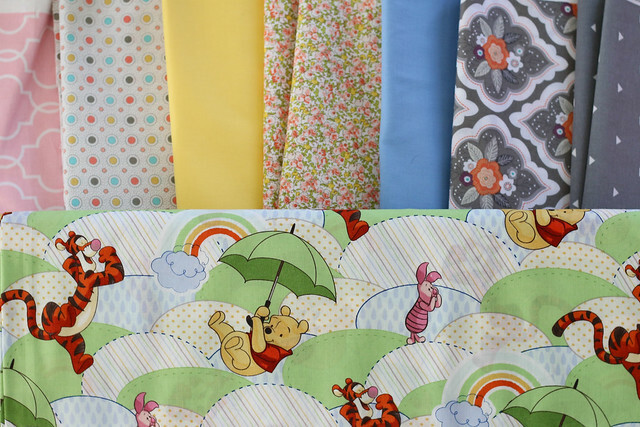 I came home from Indiana with my mom’s sewing machine and a bolt of Winnie the Pooh fabric at the beginning of February. 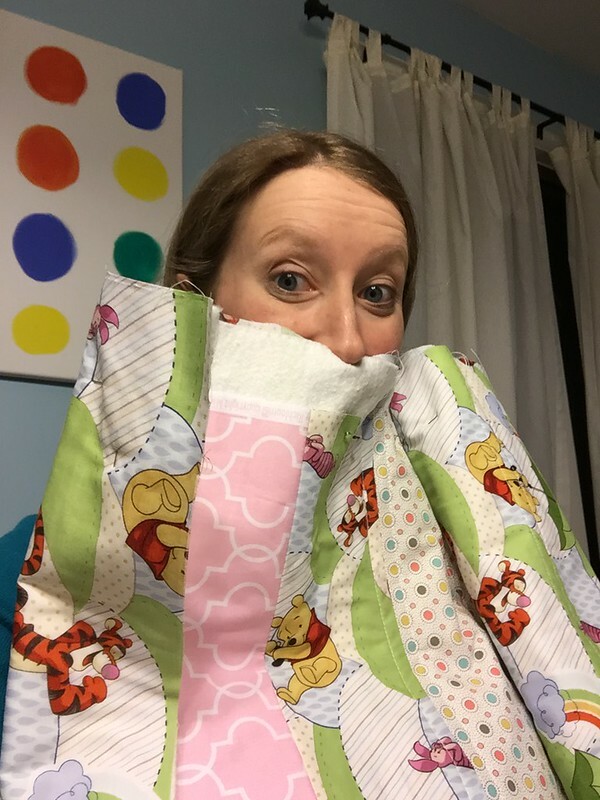 I spent a few hours one Saturday afternoon picking fabric to coordinate with the Winnie the Pooh fabric and started my journey to make a quilt for our baby girl coming in June. 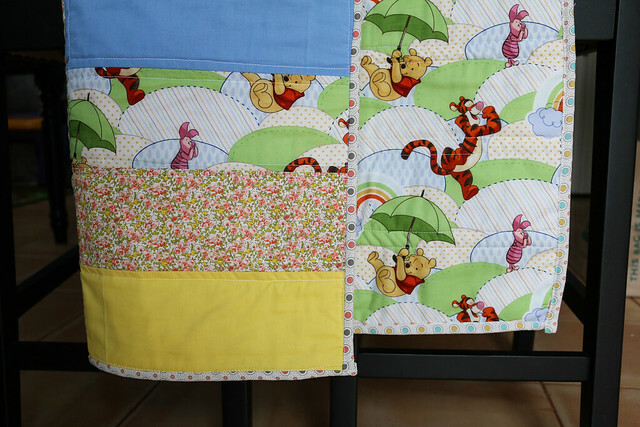 I used this cute hipster baby quilt as my inspiration. I like the more modern look with the large rectangles of fabric and the simple stitching. I only have a few in progress pictures from my phone. 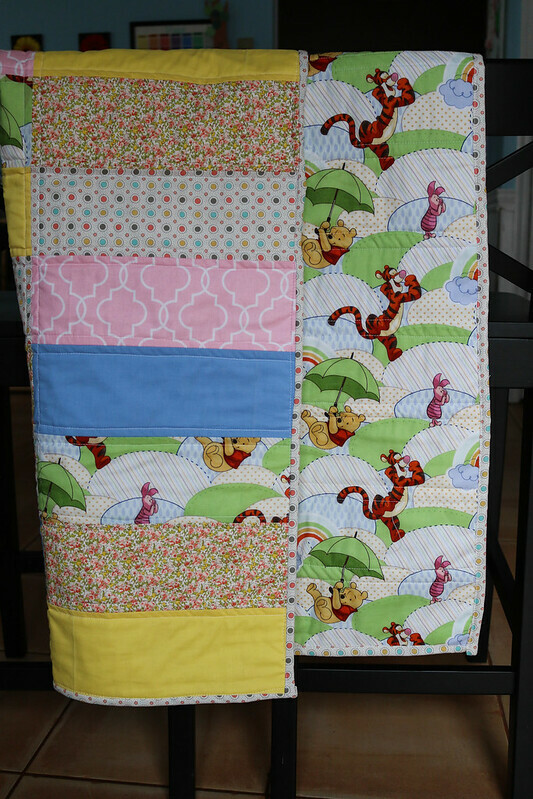 This first one below once I had the whole quilt top sewed together. 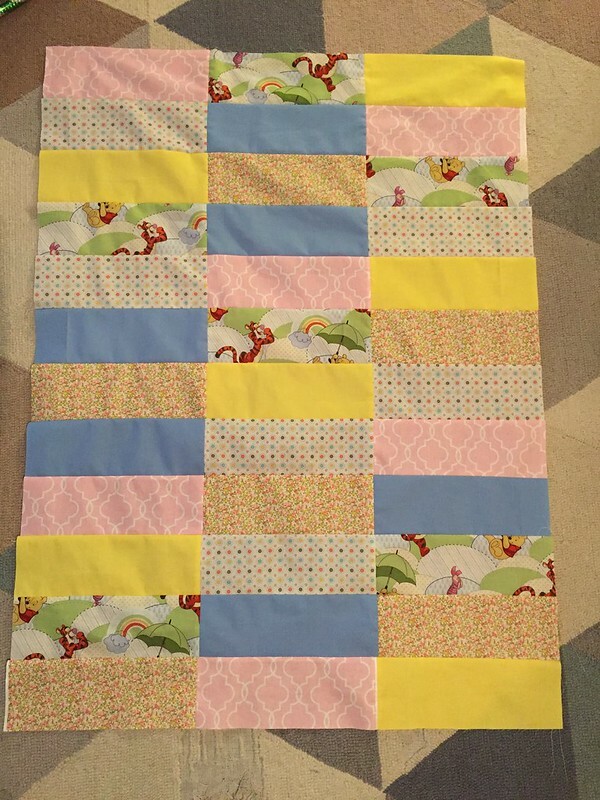 And then the hard part started with quilting the whole thing together – all three layers of backing, batting and quilt top. And a few quick pictures from Monday night when I finished it! And for good measure, a few more good pictures that I took today. Is it perfect? Not even close! Ask Forest, he’ll tell you how many times I got frustrated and complained that something wasn’t working right. But I learned so much in the process! Now that it’s all said and done, I am so proud that I completed it and I’m confident that our daughter will love it, too. 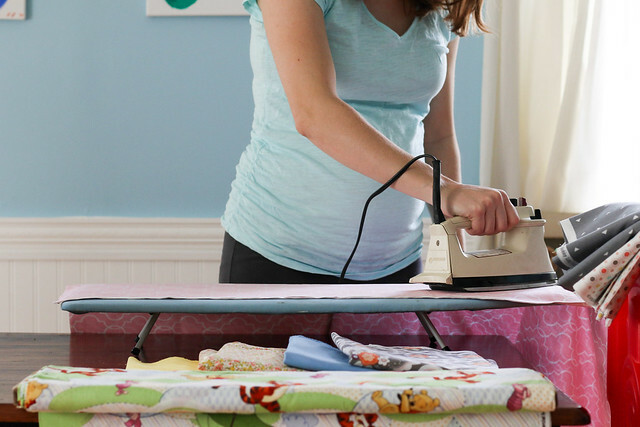 I actually already have a plan for some of the leftover fabric – I’m making a really big cushion for a reading corner in Peyton’s new room. So I never planned on making a tutorial for this – mostly because it’s the first quilt I’ve ever made and I was learning so much in the process – but I thought it might be helpful to share the resources I have bookmarked that I referred to often. 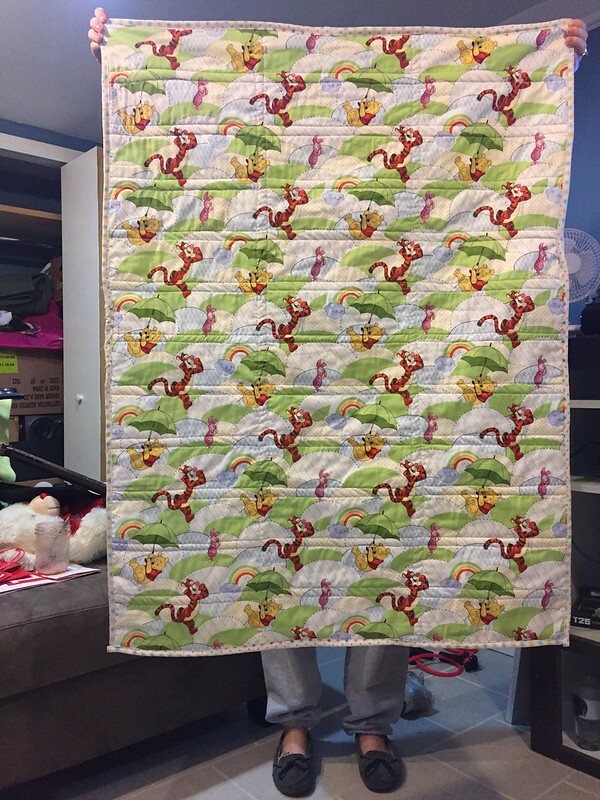 I read through all the posts in this beginning quilting series at Diary of a Quilter. 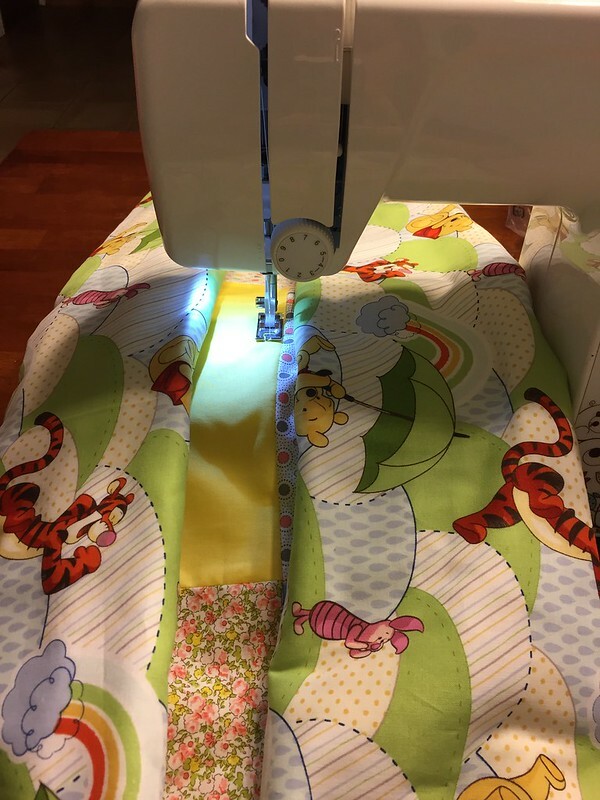 Cluck Cluck Sew shared some helpful tips on her road trip quilt post. Stitched in Color helped with basting and finishing the quilt. And I ended up back with Cluck Cluck Sew for machine binding the quilt. Stitched in Color had a very similar machine binding except with a zig-zag stitch. 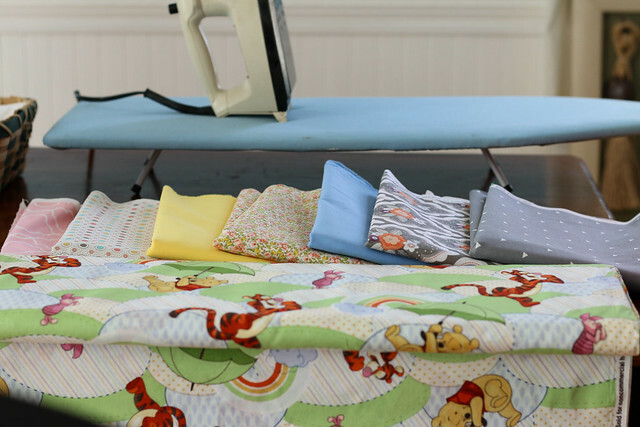 Those were my main resources for the whole quilt and I referred back to them often – I always had my laptop or iPad nearby! 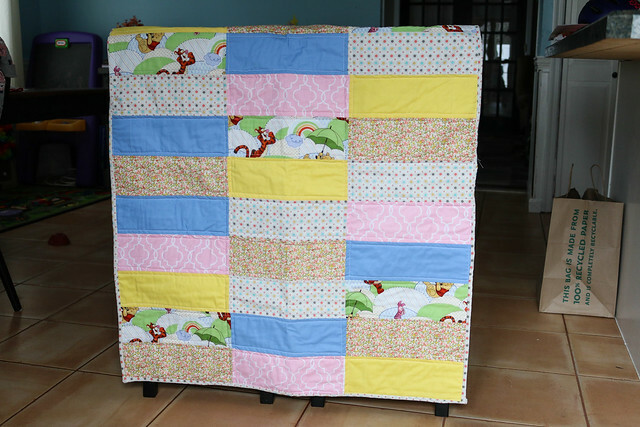 I’m really looking forward to making more quilts. I’ve seen so many ideas on Pinterest for seasonal ones to have around the house and yes, I plan to make some as gifts! 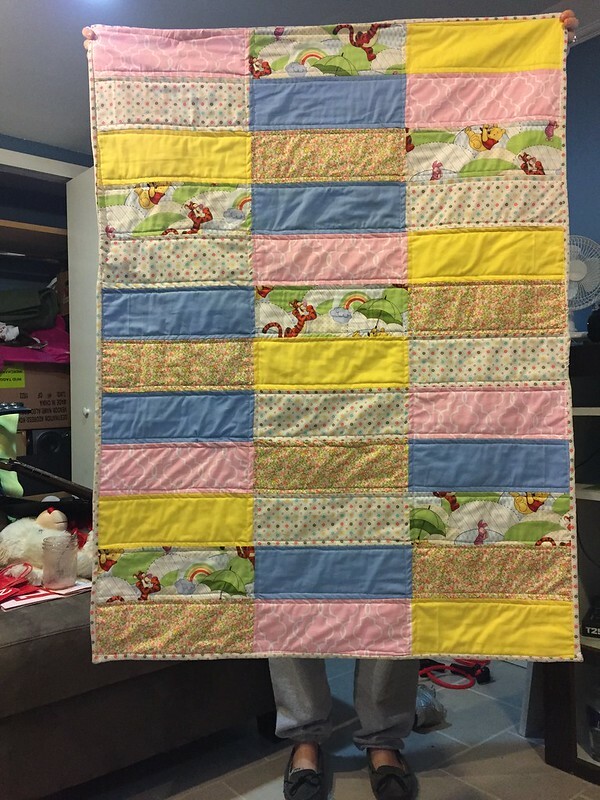 This entry was posted in Baby, DIY, Motherhood and tagged baby, baby girl, baby quilt, craft, crafting, DIY, DIY quilt, Gramma, quilt, sewing, sewing project. Bookmark the permalink. We are the Johnson’s – Forest and Cindy – twenty-something-high-school-sweethearts. 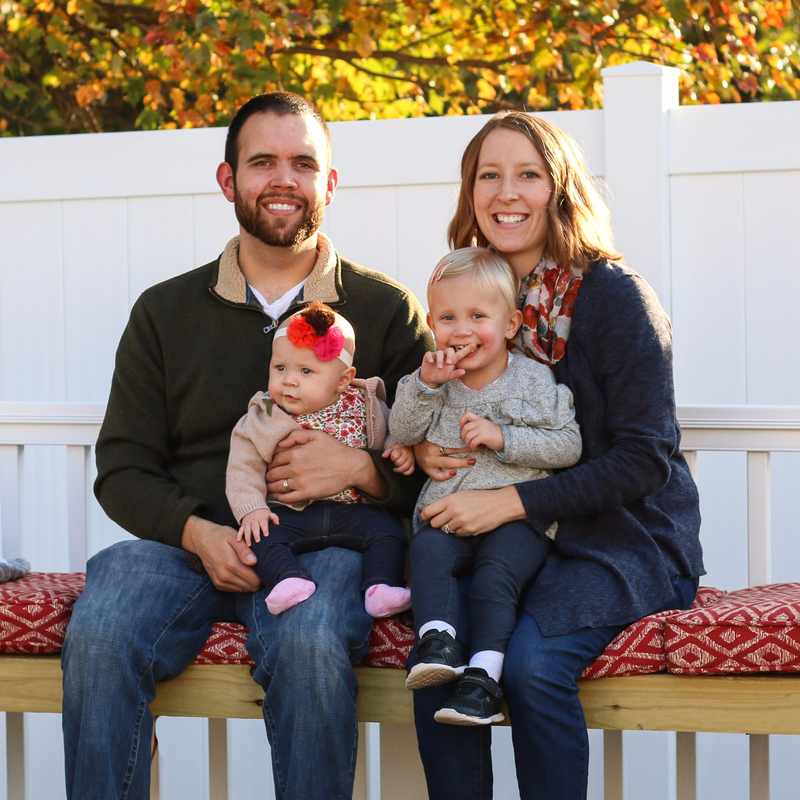 We enjoy baseball, pizza on Friday nights, vacations, frozen yogurt, sunsets, the beach, sleeping in, and spending time with family and friends. It is the little things in life that make it memorable, and we hope to share some of those moments here.